It is estimated that 1 in 10 people have dyslexia in the UK, so we wanted to take a look at how we could help operatives who have dyslexia or suffer with visual stress. By introducing the ‘Dyslexia and Visual Stress’ Campaign, we have been able to develop several ways in which we can support our site operatives. Line trackers – these track each line and block out others whist reading which helps to reduce visual stress. 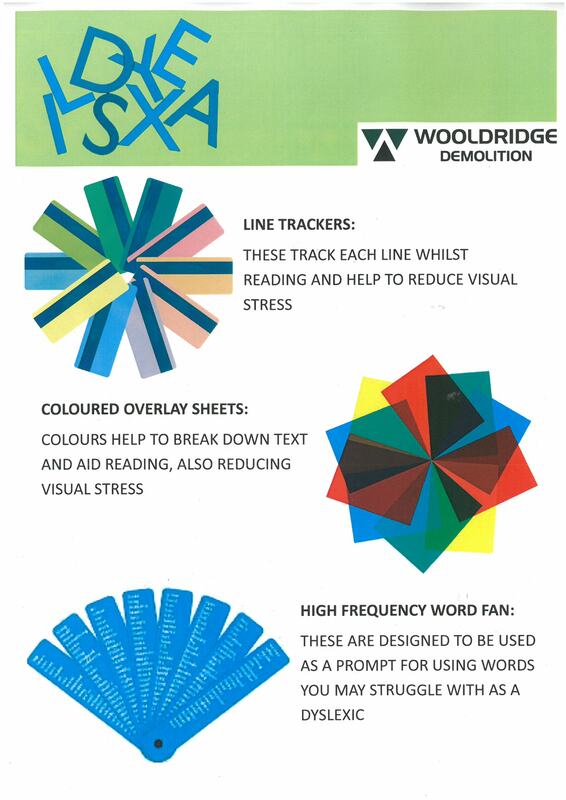 Coloured overlay sheets – the colour helps to break down the text and aid reading which also in turn, reduces visual stress. After creating a presentation/toolbox talk, teaching operatives different ways in which they can manage their dyslexia and what resources are available to them, we issued the site manager with a tablet to be used as a training tool. Site operatives are now able to book in a training slot in their break times with the tablet that offers use of multiple apps that support our dyslexia campaign including the speak and translate app. A respectful, fair and non-discriminatory management approach is needed if the industry is to attract a skilled and well-motivated workforce. In order to help close the industry’s increasing skills shortage, it has to be able to attract the under-represented sections of the working population and address changing demographics. The workforce will generally be more productive and content, if they feel valued, involved and respected.